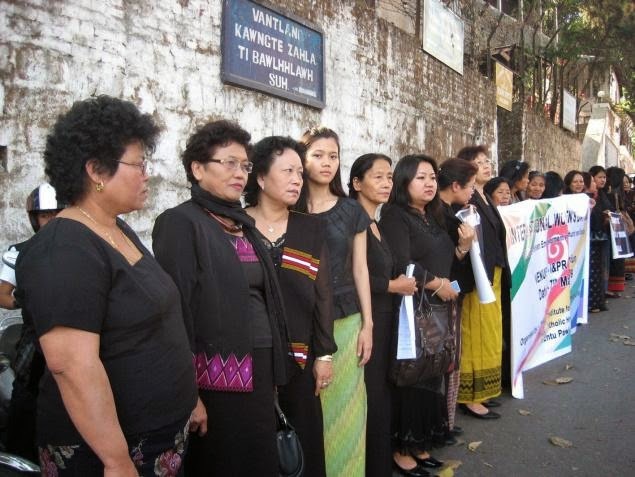 Aizawl, Jan 26 : The All Mizoram Women Federation (AMWF) hailed amendment to the 62-year-old village councils act that envisages reservation of seats for women in the local bodies elections. Addressing a news conference here yesterday, AMWF president Dr Jane Ralte hailed the Lushai Hills District (Village Councils) Act, 2014 as a major milestone in regards to political empowerment of women in the patriarchal Mizo society. As per the amended Act, one seat will be reserved for women in a village council having three seats to five seats, two seats for women in a village council having seven seats, and three women seats in a village council having nine seats. The State Election Com-mission is gearing up to conduct elections to village councils in Mizoram, with the exception of the three autonomous district councils, during February. This will be the first time that seats are reserved for women in Mizoram village polls. Addressing a press conference in Aizawl, AMWF President Dr Jane R Ralte said the Mizo Marriage, Divorce and Inheritance of Property Act 2014 was enacted by the State Legislature on November 12, 2014, but was yet to be in force.